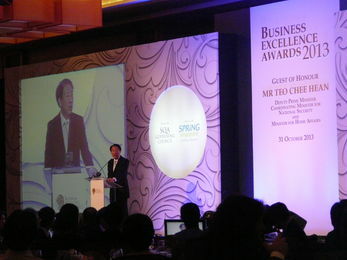 The 5th Global Business Excellence Conference held in Singapore was an impressive event with high-level participation. The GBN took part with the 8th International Benchmarking Conference and the 22nd Annual General Meeting, as well as the International Best Practice Competition and Global Benchmarking Award. 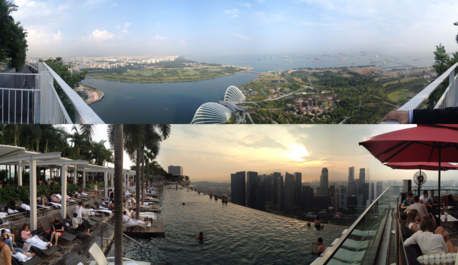 pool – the perfect place for a Singapore Sling. Special Attention goes to Ms. Tong Shuh Lan, Ms. Low Iynee from SPRING Singapore who took great care of the overall organization and our wellbeing. Thank you! The 5th Global Business Excellence Conference was packed with interesting guests from all over the world. 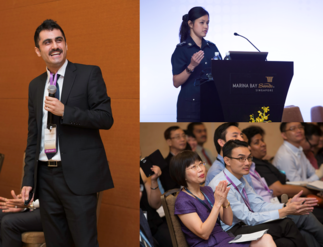 National and international Quality and Management experts like Freddy Soon (Singapore Quality Association Governing Council) and Marc Amblard (CEO of EFQM) gave a perfect framework for exciting speeches. Parallel to the speeches the first round of the International Best Practice Session was held. The highlight of the first day was the Panel discussion about Business Environment in Fast-Paced environment with participation from widespread areas Entrepreneurs J.S. Gill (Franchisee of H&M in Thailand and Indonesia) and Dr. Nadia Shouraboura (CEO of Hointer Inc.), Executive Director Oi Boon Hoe (Portek International) as well as GBN Member and Innovation expert Dr. Holger Kohl (Head of Corporate Management division at Fraunhofer IPK). The second day continued with great speeches of GBN Members from U.K., Australia, Iran, New Zealand, India, Bahrain, Kuwait and Germany, a panel discussion and – as the highlight – the Presentations of the Finalists of the International Best Practice Competition as well as the Global Benchmarking award and finally the Announcement of the Winners of the International Best Practice Competition and Global Benchmarking Award. The Participation in the Business Excellence Awards with Mr. Teo Chee Hean – Deputy Prime Minister and Coordinating Minister of National Security and Minister of Home Affairs- was the perfect finish of the day. “Benchmarking is a Business Excellence tool for finding, adapting and implementing outstanding practices in order to achieve superior performance. Benchmarking is the practice of being humble enough to admit that someone else is better at something, and wise enough to try and learn how to match or even surpass them at it. Benchmarking is ‘learning through the experience of others’. It includes the process of identifying, adapting, and implementing high performing practices to produce superior performance results.